Wire Binding ★★★★ ★★★★ ★★★★ Wire binding gets 5 stars across the board for these factors. Pinchbook Cover ★★★★ ★★★☆ ★★☆☆ Part of the reason why Pinchbooks are not as popular is because they are newer to the market, while wire binding and thermal binding have been around for many years. Coverbind Thermal Cover ★★★★ ★★★☆ ★★★☆ Thermal binding has been popular for many years, but still can't beat out traditional punch-and-binds like wire in that regard. Wire-O is probably one of the most accessible and popular ways to professional bind, especially when it comes to presentations for clients. The wire is clean and sleek, and the various sizes and colors available make it easy for you to create a seamless piece with your wire binding machine. Basically the process involves punching your pages, place the wire through the holes, and then pinching the wire to close it around your book. Some users may believe that the punch and bind style is a bit of a hassle, and I would agree to an extent. But wire is also easy to do, even with the punching step. It also gives you the versatility to do whatever you want with your cover pages. You can use a plain cover stock, a custom cover set, or even a hard cover. As far as functionality goes, wires are great because they let you flip the pages all the way around. This makes the book easier to handle. Plus the pages can open and remain open without having to hold the edges, with is perfect when you're presenting to anyone who needs to follow along in their booklet. Pinchbooks are going to be the easiest way to bind a professional document because you don't need a machine of any kind. They actually have a spine that pinches your pages securely in, which also allows them to be easily edited or changed out for different clientele as well. These premium quality hard covers add a level of class that only a hard cover can do; and your customers will never know how affordable they actually were for you. The limitation of the Pinchbook hard covers is that they can only hold up to about 35 sheets of basic copy paper, so the capacity may not work for all applications or reports. But for smaller presentations that really need to stand out, they are the perfect solution. 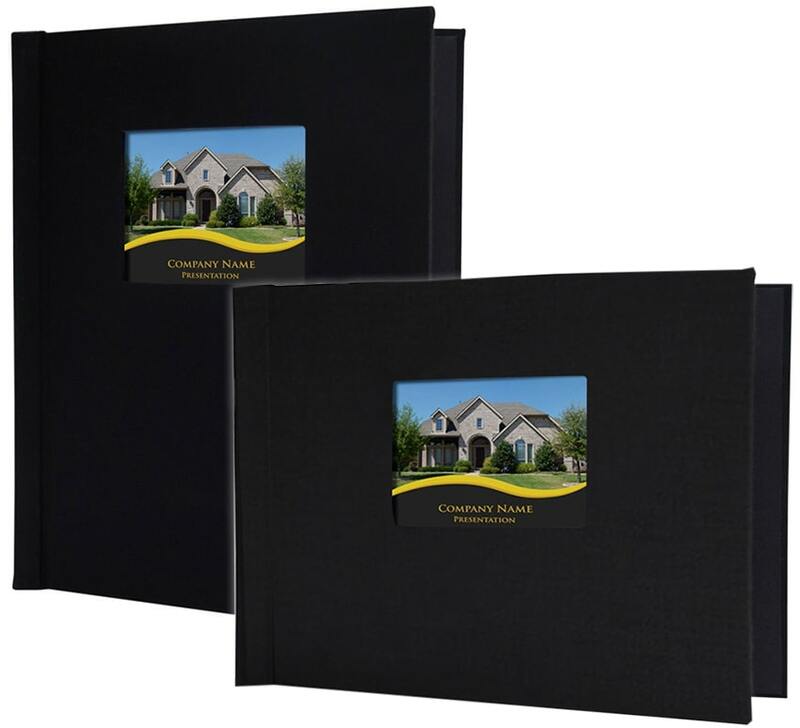 They come in several colors and sizes, including both with and window window cut-outs on the front Pinchbooks, also called DIY Hard Covers, are a premier solution for professional book binding of small presentations. Thermal binding, specifically from Coverbind, offer an incredibly professional finish, especially when it comes to their hard covers. Thermal binding uses a combination of heat and glue to bind in your pages for a secure bind. But there is no hassling with glue; it is pre-applied into the cover spines, so you just choose the cover spine size for your document thickness, place your pages into the cover, and the place the cover on the binding machine. It reacts and heats up, melting the glue and binding your pages. 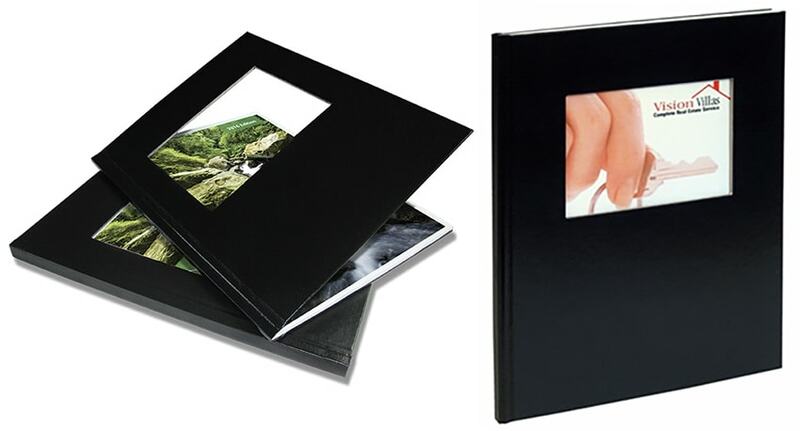 Coverbind thermal binding is versatile as well, so you can bind all kinds of documents in addition to the hard covers. That is one major benefit. As far as functionality, hard covers can open flat, but not all the way around. They come in spine sizes up to 2" thick, and there are window and non-window hard cover options. They also have some with labels so you can custom print.